Bill Parcells made a rare public “appearance” this afternoon, taking questions for 30 minutes on a live chat hosted by NFL.com. Here’s the transcript. But if you’re simply interested in the Dolphins nuggets, read on. As expected, Parcells didn’t reveal much, including the team’s plans for 35-year-old linebacker Jason Taylor. Taylor said last week he wants to explore his options and keep playing. Asked about the team’s plans, Parcells sounded like he might let JT test the waters. “I don’t know the answer to the Taylor question at this moment,” Parcells said. “He’s a free agent as of March 5 and we haven’t discussed it yet. Taylor might like more of a commitment, but last week he also sounded like a man with more leverage than he might have. Taylor is a good 35-year-old player, but sounds like a good 30-year-old player. But some team is going to court him, thinking he’s the JT of old, not a guy best used as a spot-duty player on a good defense. This could drag on, like it did when Parcells first arrived and he and Taylor didn’t see eye to eye. Meanwhile, Parcells clearly is a huge fan of another veteran player, running back Ricky Williams. But while the Dolphins’ run game is in good hands, Parcells was asked about whether the team needs a No. 1 wide receiver to aid Chad Henne’s development at quarterback. Odd answer, considering a number of other teams have had success identifying and developing No. 1 WRs. - Will quarterback Chad Pennington go into coaching? - Did Rex Ryan call Parcells during the season for advice? - Who is funnier between Parcells and quick-witted offensive coordinator Dan Henning? - Biggest regret of his coaching career. - Which of the former Cowboys on the Saints roster did he most regret letting go? I think Jason will be back and at his old position as Joey Porter will be released. As long as Jason is not looking for ridiculous money, he should be back. He is not the player he once was, but he is still productive and he provides leadership on a young team that will get younger. I wonder what he means by that. Not going after a #1 guy via trade? Not breaking the bank to get one. 3 things have to happen in order to trade. You can't just wish a team in to willingness to trade a #1 receiver, even if said receiver wants out (Boldin and Ocho are good examples). AP reports the Pro Bowl means a $1.5 million bonus for DE Julius Peppers, which will tide him over until the next paycheck. He says he has no idea who will be writing it. "Anywhere is a potential landing spot," the Carolina Panthers' defensive end said following the final practice for the NFC all-stars Saturday. "I'm not going to say I want to play for any team or I prefer to play anywhere, because I really haven't thought about it. I haven't thought about playing for x, y or z." Last year, the Panthers gave Peppers the NFL's highest single-season salary of more than $1 million a game. The contract included a $1.5 million bonus for making the Pro Bowl. The deal came after the Panthers placed the restrictive franchise tag on him, denying Peppers his wish to leave in free agency. Carolina could restrict his movement by placing the franchise tag on him again, but that would come with a 20 percent raise, meaning a salary of more than $20 million. The Panthers haven't said what their plans are. Peppers, who rarely talked to reporters this season, shed little light on his status Saturday. Is he waiting for an offer from Carolina? "I really have no idea what's going on," he said. Would he prefer to remain with the Panthers? "I don't have a preference," he said. 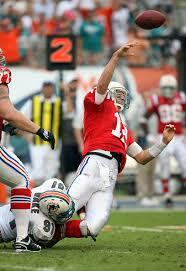 If we let Porter walk or trade him, we pretty much have to sign Jason Taylor as insurance. I like Wake but he is raw as a OLB.